Microsoft has announced the release date and price of Xbox One S in India. The 500 GB variant of gaming console is priced at Rs 29,990 on the online store Amazon. The 1 TB variant of the video game console is priced at Rs 31,999 on Amazon and Rs 34,990 on Flipkart. The online retail store Amazon says that the device will be released on 10 October. Online retailer Flipkart has said that it will bundle three games with the console, namely, Battlefield 1, Gears of War 4 and Forza Horizon 3. Amazon is offering Gears of War 4 and Battlefield 1 as bundled games with the Xbox One S.
The offer to get the free games is valid until 11:59 pm on 9 October. The customers buying the Xbox One S in the offer period will receive the games as downloadable codes via email before 19 October. The Xbox One S gaming console was released internationally in August 2016. Xbox One S is the third gaming console in the Xbox family, it was preceded by Xbox 360 which was released in 2005 and is one of the best selling-consoles by Microsoft. 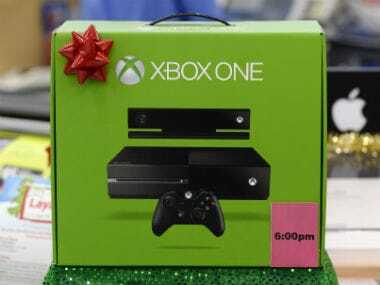 The Xbox One was released in November 2013 worldwide and in November 2014 in India. Xbox One Supports 4K UltraHD Blu-ray and 4K video streaming. Users can also stream Ultra HD video on Netflix, Amazon and other online video streaming platforms supporting UltraHD videos. Microsoft recently launched Xbox One S 'Minecraft edition' in Germany. The video gaming console was available for pre-orders from 21 August and is expected to be shipped from 3 October. It is priced between $300 - $350 (Rs 19,291- Rs 22,506).